The IBM Automatic Sequence Controlled Calculator (ASCC), called the Mark I by Harvard University, was an electro-mechanical computer.The electromechanical ASCC was devised by Howard H. Aiken, built at IBM and shipped to Harvard in February 1944. It began computations for the U.S. Navy Bureau of Ships in May and was officially presented to the university on August 7, 1944. It was very reliable, much more so than early electronic computers. 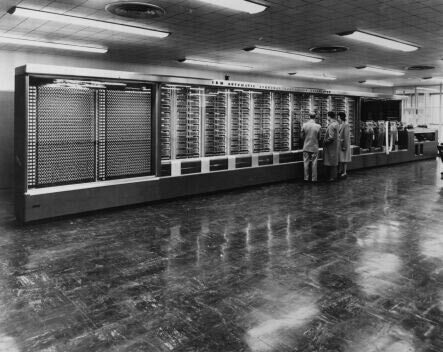 It has been described as "the beginning of the era of the modern computer" and "the real dawn of the computer age".